When Netflix launched its subscription service in Brazil last September, it was highly anticipated as many saw it as an interesting alternative to piracy and to the local VOD offer. However, this excitement is fading due to negative feedback on several points. In an interview with Gizmodo Brasil, Netflix’s VP of Global Corporate Communications Jonathan Friedland responded to this criticism and confirmed that the company would very soon come up with improvements. So what are users complaining about and how does Netflix plan to answer? The number one complaint among Netflix’s Brazilian users is the depth of its catalogue – or more precisely the lack thereof. When the service first launched, many were disappointed not to find a well-known series or a blockbuster they were looking for. According to Friedland, Netflix is aware of the issue, and has been working very hard to expand its catalogue and recently added titles such as “Superbad” and “Grey’s Anatomy” to its offer. Since its launch in Brazil, it increased by 50%, and should double by the end of the year, he added. Besides Hollywood deals, local content has also been a challenge for Netflix; the Brazilian newspaper Folha reported last month that the American company was having a hard time licensing Brazilian movies. 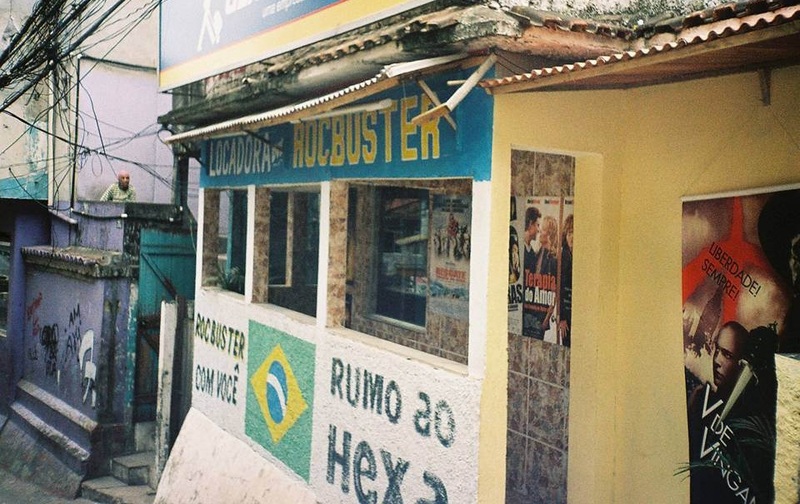 According to the newspaper, among the 10,000 titles available on the service, less than ten were Brazilian films, as Netflix faced resistance from local producers and TV channels. Again, this is a problem Netflix seems to be trying to actively fix. More local titles have made their entry into the catalogue, and recent communications have heavily emphasized well-known local content the company managed to license, such as the blockbuster “Elite Squad” and “The Art of Insult” starring Brazilian comedian Rafinha Bastos. Catalogue isn’t the only thing users have been complaining about, as audio quality also received criticism, especially among users who prefer subtitles to dubbing. According to Gizmodo Brasil, the original audio version isn’t always available. According to Friedland, Netflix is also working on licensing subtitled content; its TV programs for kids, for instance, will include original audio tracks by the end of January, he said. While Netflix seems to be listening to feedback to improve its service, Friedland noted that the company was taking extra care not to pay too much attention to a “vocal minority”. For example, users who prefer dubbing seem to be in majority, and Netflix has to be careful to satisfy all of its users, rather than simply listening to those who send comments to the company on Facebook. As a result, the main option Netflix chose to gather feedback was to conduct focus groups, which provide the company with more representative samples. It’s obvious Netflix is putting a lot of effort into satisfying its Latin American clients. As we reported, its Android app is now available in Latin America and the company is working on offering its service on iPad, iPhone, iPod and XBox 360 in the region very soon. According to Gizmodo, Netflix’s iOS app has already been submitted to Apple and is now awaiting approval. Besides mobile devices, Netflix is also looking at connected TVs and recently closed a deal to offer its service on LG Smart TVs in Brazil. As you can imagine, the reason why Netflix is improving its service is that it wants to succeed across the region. Indeed, international markets have become increasingly important for the company. While it lost subscribers in the US during the last quarter, Netflix hopes that countries such as Brazil will considerably fuel its user growth in the years to come (see our previous story Netflix, gambling on international markets). As for revenues, it hopes to reach break even in Latin America within the next two years. Besides the issues we already mentioned, Netflix’s success in the region will also be tributary to the broadband’s penetration across Latin America. If it were to grow slower than expected, it would seriously compromise the company’s prospects, and there isn’t much Netflix can do about this. Have you tried Netflix’s service in Brazil? Let us know in the comments.